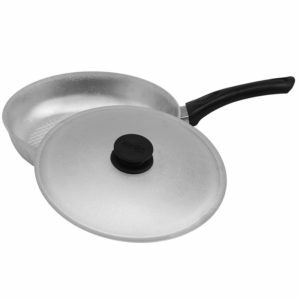 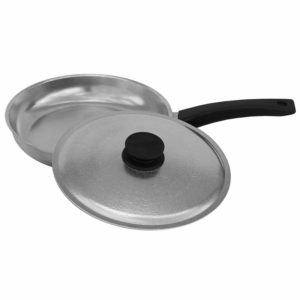 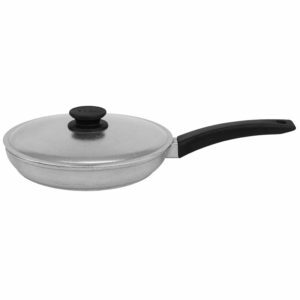 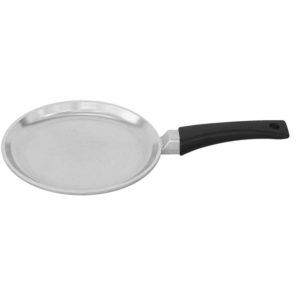 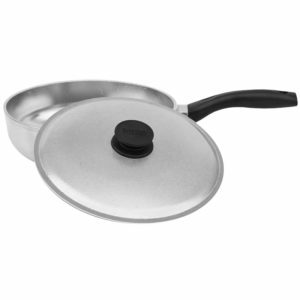 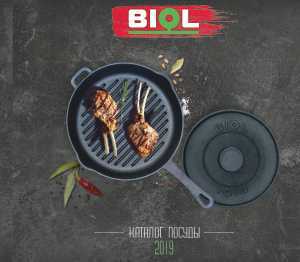 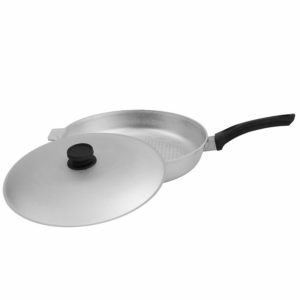 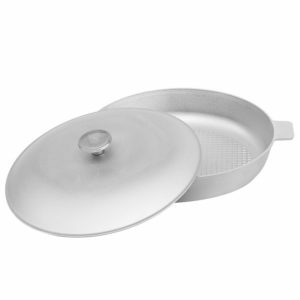 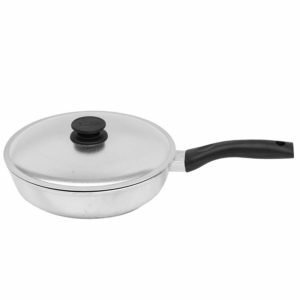 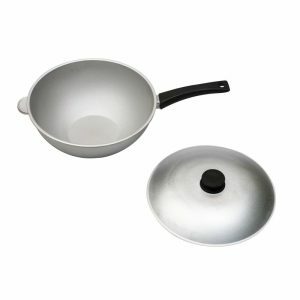 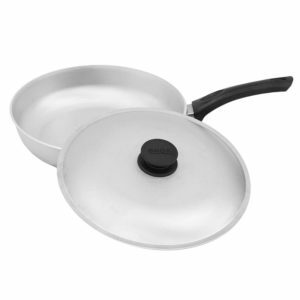 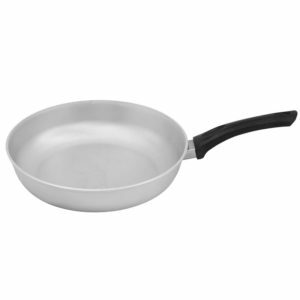 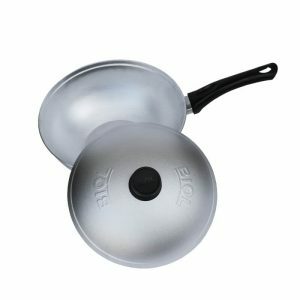 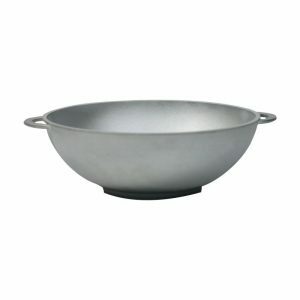 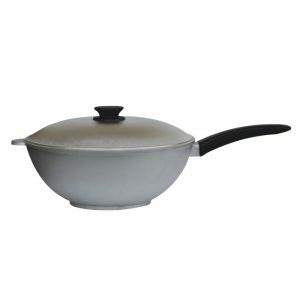 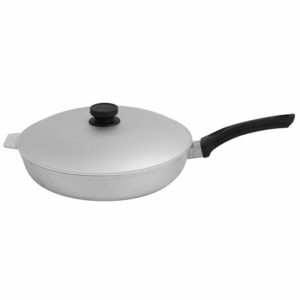 Deep frying pan TM “BIOL” from aluminum has a flat bottom, on the surface of which there are no pores and roughnesses. 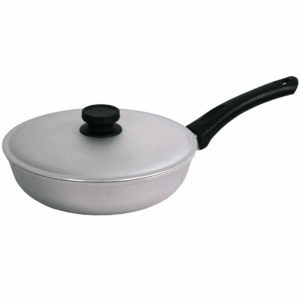 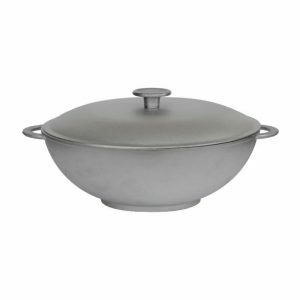 Food in such pans never burns and does not stick to the bottom. 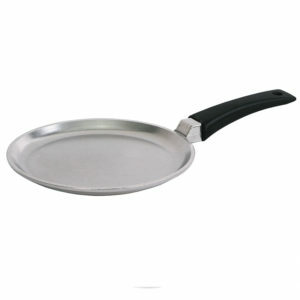 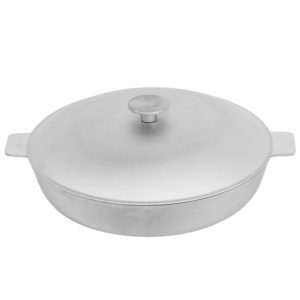 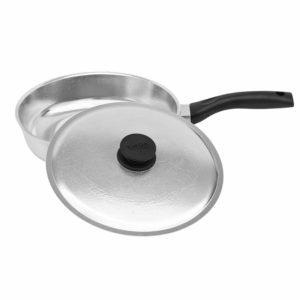 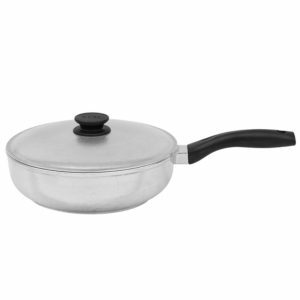 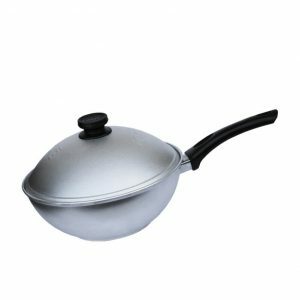 An aluminum casting frying pan with two aluminum handles and a 300 mm lid is made of food aluminum, which has a high thermal conductivity.